A group of Antifa protesters in Portland, Oregon harassed an old man this week for disobeying their traffic orders, with apparently no action taken against them by the Portland police. A report from the Wall Street Journal from August details the a wave of anarchy taking over Portland, Oregon. 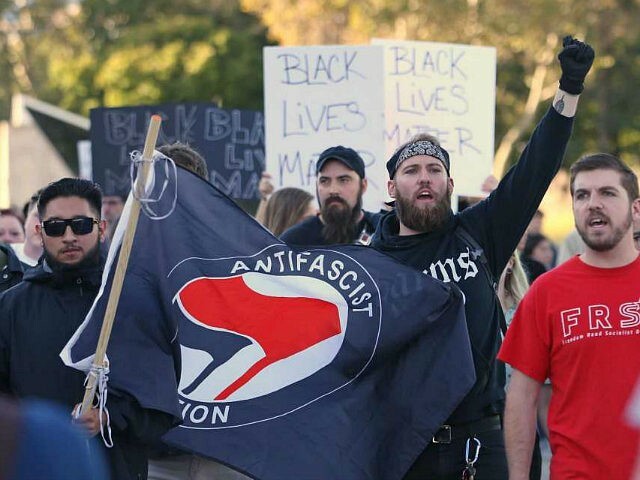 Antifa and Black Lives Matters protests have been taking to the street and blocking traffic in an effort to bring attention to various social issues. Now, the protesters are back on the streets blocking traffic. In a set of particularly disturbing videos, protesters berate and harass two older white men in their cars who refused to obey their traffic directions. “You are a little white supremacist! North Carolina, huh?” the protester said, referring to the car’s license plate, “…Go back to North Carolina where you came from. We don’t need your KKK in Portland, Oregon,” the protester said. “I’m in the middle of the intersection and [the protesters] are blocking traffic,” the driver says into his phone. In the other video, the protesters smash an older white man’s sedan after he makes a turn against their wishes. After he zips down the street to get away from them, they chase after the car. He gets out of the car to check the damage on his car. The protesters then continued to smash his car with sticks as he drove away. This emerging brand of “street anarchy” has left many asking Portland Mayor Ted Wheeler to regain control of his city. Breitbart News will continue to provide updates on this story.